President Goodluck Jonathan on Thursday inaugurated a national operational plan for the Elimination of Mother to Child Transmission of HIV (EMTCT) with a declaration that no Nigerian child should be born with HIV. The President, who was represented by Vice-President Namadi Sambo at the inauguration in Abuja, said Federal Government was committed to the elimination of Mother to Child transmission of HIV by 2016. He urged all stakeholders to join hands in ending the AIDS epidemic among children, saying that government would continue to be formidable allies in the quest to eliminate Mother to Child transmission of HIV. "The Government of Nigeria is committed to the implementation of the plan to eliminate Mother to Child Transmission of HIV by 2016. "Government recognises that a huge amount of resources would be required to effectively combat the HIV epidemic which poses significant threats to the Transformation Agenda. "I, therefore, call on government at all levels, the private sector and civil society organisations to support the Federal Government in sustaining a robust response to HIV in Nigeria. "I thank our international partners who have stood by us all these years, and continue to be formidable allies in our quest to eliminate mother to child transmission of HIV. "The message and our objective must be very clear; No Nigerian child should be born with HIV. Together we shall end the AIDS epidemic among children." According to the President, Nigeria is still faced with several gaps, despite the genuine and commendable progress made in combating HIV and AIDS. He said that there were huge coverage and access gaps in Prevention of Mother to Child transmission of HIV. "Only about 61 per cent of pregnant women attended antenatal care in 2013 and only 36 per cent delivered in health facilities Government is aware that support from International Partners has flattened in the last three years. "Government has been informed by some international partners of a gradual withdrawal of funding support for some aspects of HIV services in the country." 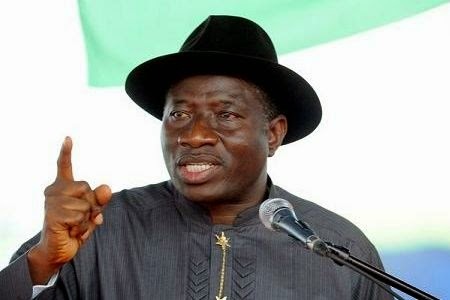 Jonathan, however, stated the Federal Government would step up its support systems to quicken progress in combating HIV. He said that the Federal Government had begun the release of fund for the implementation of the President’s Comprehensive Response Plan for HIV and AIDS (PCRP). According to him, government recognises that a huge amount of resources will be required to effectively combat the HIV epidemic which poses significant threats to the transformation agenda. Jonathan, therefore, called on government at all levels, the private sector and civil society organisations to support the Federal Government in sustaining a robust response to HIV in Nigeria. "This epidemic has gone beyond the health sector and has significantly threatened the economies and developmental efforts of many countries in the world including those in sub-Saharan countries. "With over three million people living with HIV, Nigeria has one of the highest burden of HIV in the world. "It is a matter of concern that more than half of the people living with HIV in Nigeria are women, and young people, within the productive age group. "The 2010 National Sentinel Survey for pregnant women attending antenatal care in Nigeria recorded a HIV prevalence of 4.1 per cent, while the population survey carried out in 2012 observed a HIV prevalence of 3.4 per cent. "The Government of Nigeria recognises that the lives of all mothers and their babies can be saved through a combination of HIV testing and counselling; access to effective antiretroviral prophylaxis and treatment; safer delivery practices; family planning; and safe breast-feeding practices." Jonathan said that the Federal Government, through the collaborative and supportive efforts of International Partners, had achieved significant progress towards the elimination of Mother to Child Transmission of HIV since 2011. He said that the number of HIV counselling and testing sites had increased from 1,357 in 2011 to 7, 075 in 2013 while 8, 202,124 people had been tested for HIV and now knew their statuses in the last three years. The president said that the Federal Government, through the Subsidy Re-investment Programme (SURE-P) and other programmes, had initiated Health Systems Strengthening projects that were critical to achieving the elimination of Mother to Child Transmission of HIV in various communities. He commended International Partners particularly, the United States Government PEPFAR programme, the United Kingdom’s Department for International Development, the Global Fund, the European Union, the World Health Organisation, and the United Nations System for their assistance in combating HIV/AIDS in Nigeria. The News Agency of Nigeria (NAN) reports that goodwill messages were delivered at the event by Civil Society Organisations and Development Partners, including UNAIDS.